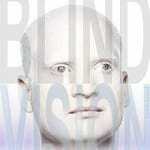 Danish Ahmed, www.ordinarywords.com born a blind Pakistani albino to immigrant parents on welfare, has beaten all the odds. He has been involved in countless model parliaments and special programs like Forum for Young Canadians, Presidential Classroom, the Future World Leaders Summit, and the Inauguration of then U.S. President, Bill Clinton. He’s founded a dot-com, written a best-selling book, is a keynote speaker, and is a respected icon in the personal development industry. He has several family members with disabilities, and his family has already been noted in the press as causing certain laws to change for people with disabilities. He is a social media expert, and his “Love Movie”, http://ontarioelections2011.blogspot.ca/2011/09/my-political-not-so-politically-correct.html, has been viewed by over a million people.